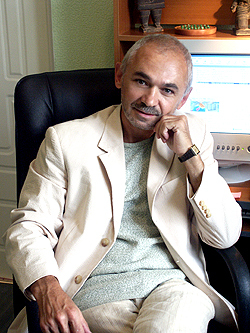 Alexander Sviyash – Writer, psychologist, Ph.D. In 2012, he received an award by the European Business Assembly (EBA, Oxford, UK) for his professional achievements and European integration. Member of Editorial Council of Socrates Almanac of the European Business Assembly (EBA, Oxford, UK). Alexander Sviyash is the author of 16 books with a circulation of over 10 million copies. The most well-known and popular are: “How do intelligent people create an insane world”, “Money inside you. Remove money barrier”, “Open subconscious. 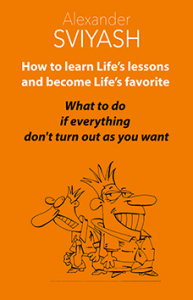 How to influence yourself and others”, “Start life anew. 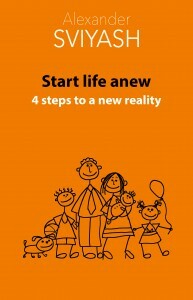 4 steps to a new reality”. He enters in the top ten gurus of the planet (according to the magazine Marie Claire). 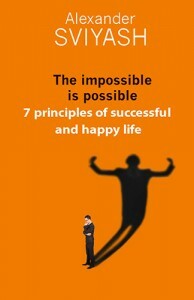 Scientific director of the Positive Psychology Center “Reasonable Way”. He opened a psychological phenomena called “Idealization”. This is a very important expectation for a person from others or himself. If somebody break your idealization it will give uncontrollably a negative emotional reaction and stress. 24 idealizations have been identified and described. A person can have 3-10 idealizations in different combinations. Idealization without the application of special efforts is not recognized by man throughout his life. If you remove the idealization – most of the stresses disappear. He identified the mechanism of occurrence of negative reactions and the emotional blocks resulting from them, that’s bodily spasms. Emotional blocks are the source of many diseases of the physical body, they control the behavior of a person. – The center of ready-made solutions, realized on the neural network of the brain. The personal and behavioral qualities of people depend on which of the Centers prevail in them. All this allows people to understand what particular qualities of their inner world create barriers to achieve important goals in any area of life. And remove these barriers by applying a certain amount of effort. Also, this technology allows you to discover / develop new personal qualities and remove unwanted ones. He proposed to consider human health as a combination of mental and physical health. Moreover, mental health consists not only in the absence of known mental illnesses, but also in the absence of idealizations and wrong inner convictions regarding our health. The doctors are always looking for the causes of diseases only inside the human body, without affecting its psyche. And only the physical body is treated. As a result, some diseases are either not cured at all or take a chronic form. A healthy lifestyle should include mental health and ensuring the body of good nutrition and the necessary amount of movement and exercise. Hobbies – work, fishing, photography.